Dornbirn, 17. September 2018 – James Turrell is one of the most important artists of our time. The American creative pioneer has been working on light spaces since the 1960s, crafting installations that provide sensory and spiritual experiences through a subtle interplay between natural and artificial light, materiality, surface, colour and space. Turrell devises his Skyspaces to achieve a unique connection between the earth and the sky. As a long-standing lighting partner of James Turrell, Zumtobel has assisted with various projects and has already supported him several times with the technically demanding realisation of his exceptional works of art. 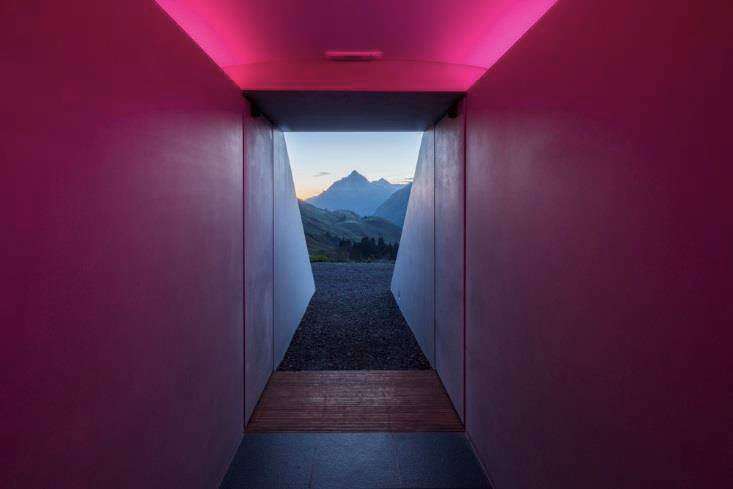 The impressive effect of Turrell’s light-poetic contemporary art can really be experienced in his latest project in the stunning natural scenery of the Arlberg, nestled between hiking trails, alpine passes and stunning mountains. 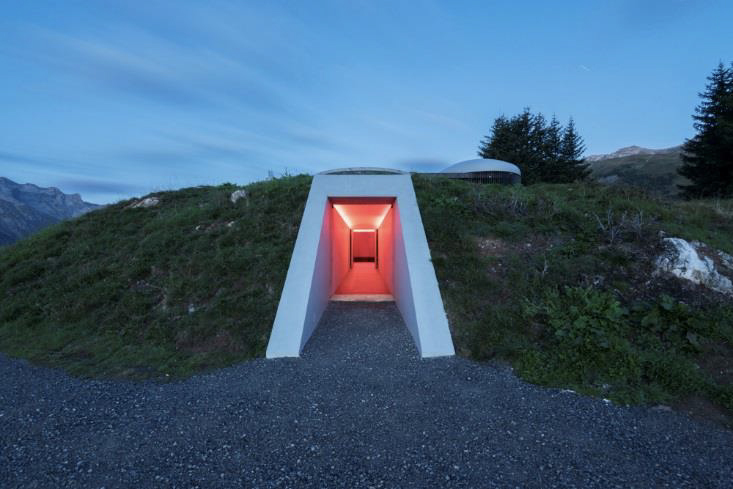 On the initiative of the private “Horizon Field” society, an organisation that promotes cultural projects in the county of Vorarlberg, a new Skyspace has taken shape in the alpine landscape around the picturesque village of Lech am Arlberg. The installation is accessed by an underground tunnel that has been carefully aligned to deliver dramatic views of the imposing Biberkopf peak, before finally opening out into the light space itself. As the sun rises behind the Biberkopf on the summer solstice, the first rays of sunshine reach the so-called Sensing Room, where elliptical openings carved into the ceiling offer stunning views of the Arlberg sky – a sky that appears so close, it almost seems somehow dreamlike. In order to guide the sensory perception of visitors even more intensively, Turrell has flooded the subterranean building in a changing series of bright light colours. A unique feature of the Skyspace Lech is the integration of another key concept associated with the light and spatial artist – the “Ganzfeldraum” – which really takes effect when the dome is closed. This “Ganzfeld” or “full-field” approach to light art from James Turrell involves a completely featureless, evenly flooded field of vision that provides no orientation due to its perfect homogeneity.